The Techfugees’ chapter in France is made up of a group of active and engaged members from the French associative, tech and entrepreneurial communities all looking for solutions to improve the lives of refugees in Europe. Its aim is to create a space where ideas can become reality. A forum where people put forward proposals on how to solve the challenges faced by refugees and where they help them to access tech talent, investment and advice in order to make these projects sustainable and purposeful. March 2019: Apply to the second #TF4Women fellowship programme in Paris! September 2018: Some news from Techfugees France! April 18th, 2019: #TF4Women fellowship programme – Paris 2019 meet up: what does it concretely mean “working in the digital field”? June 18th: Come and meet the #TF4Women talents at Google Space on June 18! July 23rd: Come enjoy the closing party of the women fellowship programme in Paris! Techfugees France is currently led by Joanna Kirk. 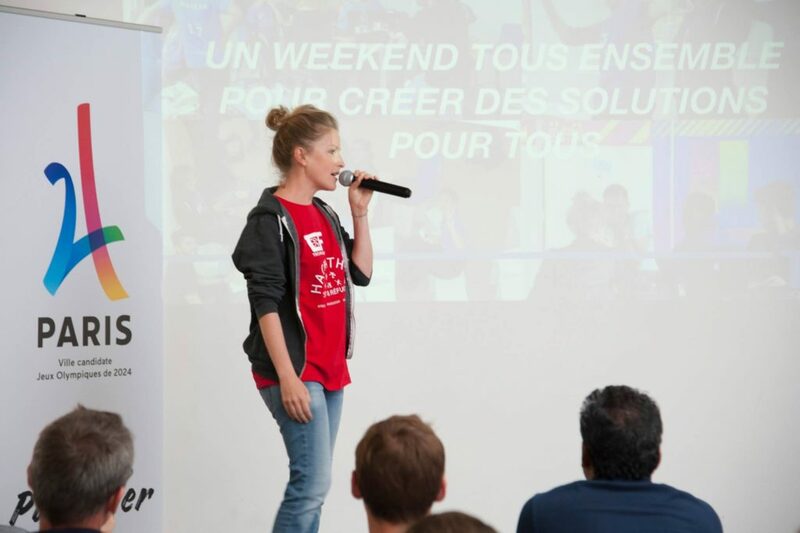 Do you want to volunteer your skills for Techfugees France? Please, fill in this form! Are you considering to support and partner with Techfugees France? Please contact france@techfugees.com.  Follow Techfugees France on Facebook (page & group), Twitter and Medium!